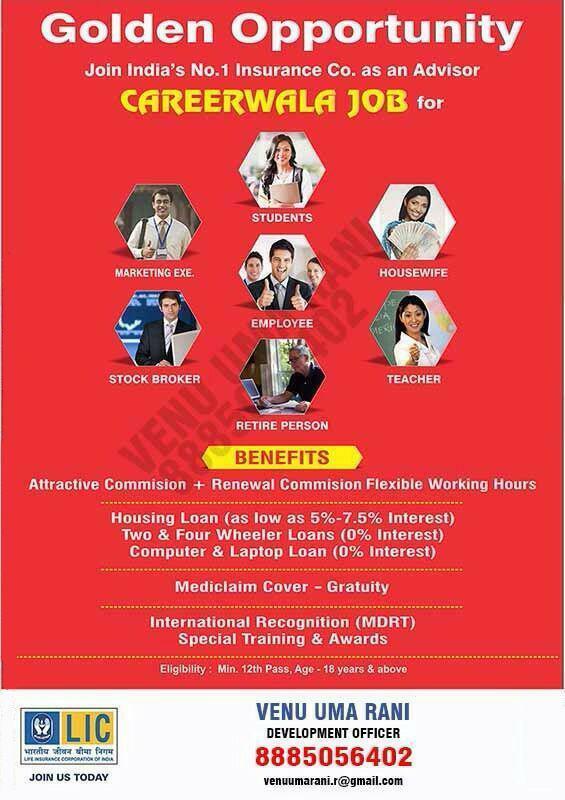 How LIC Agent profession is the highest paid profession in the world? A fee of LIC Agent is Rs.1,000/-. How…..?? ?🤔🤔🤔🤔thinking🙄🤔🤔🤔🙄 don’t think here comes the calculation. If an LIC Agent meets 100 clients worst to worst 30 clients are ready to take policy, as per study. If 30 clients take Rs.10,000/- yearly premium policy then total premium comes to Rs.3,00,000/- and commission 35% on 3lac=Rs.1,05,000/-. So meeting 100 clients, fees of agent comes to 105000/100=Rs.1,050/-. Which is more than a MD DOCTOR consulting fees. But to become an LIC agent , it takes only few days with fees Rs.1,000/- ONLY. DOCTOR IS A HEALTH CONSULTANT AND AN LIC AGENT IS A WEALTH CONSULTANT. Proud to be an LIC Agent what a profession !!! This entry was posted in Agents Benefits and tagged how to become lic agent, lic career, lic careers, lic exam, lic job, lic jobs, lic online application, lic online registration, lic registration, lic vacancy. Bookmark the permalink.